Author JK Rowling - the millionaire creator of wizard Harry Potter - has bought a palatial Scottish hideaway. The 19th century mansion in Perthshire was built by General Wade in the heart of some of the most imposing countryside in Scotland. 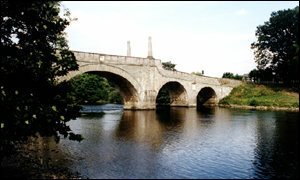 William Jackson, of CKD Finlayson Hughes, has confirmed that the author purchased the property near the River Tay. He said: "This area of Perthshire is most highly sought after with the most attractive countryside all around." Mr Jackson refused to comment on the value of the property. It has been reported that contractors putting the finishing touches to Ms Rowling's new home have been asked to sign gagging clauses in their contracts, forbidding them to speak to the press. A spokeswoman for the writer, who has earned millions from the Harry Potter books and the newly released box-office-busting film, said there would be no further statement. The 1865 mansion is reported to be a luxurious building, complete with outer and inner halls, a drawing room, morning room, dining room, library, kitchen and various bedrooms and dressing rooms. It comes complete with a sycamore tree said to have sheltered Bonnie Prince Charlie during the ill-fated Jacobite Rising of 1745. Ms Rowling wrote the first of her series of novels about Harry Potter in Edinburgh coffee houses in the 1990s. Her books have become one of the sensations of modern publishing, selling millions of copies. The film Harry Potter and the Philosopher's Stone, which opened last week, looks set to become a huge success in Britain and the United States.